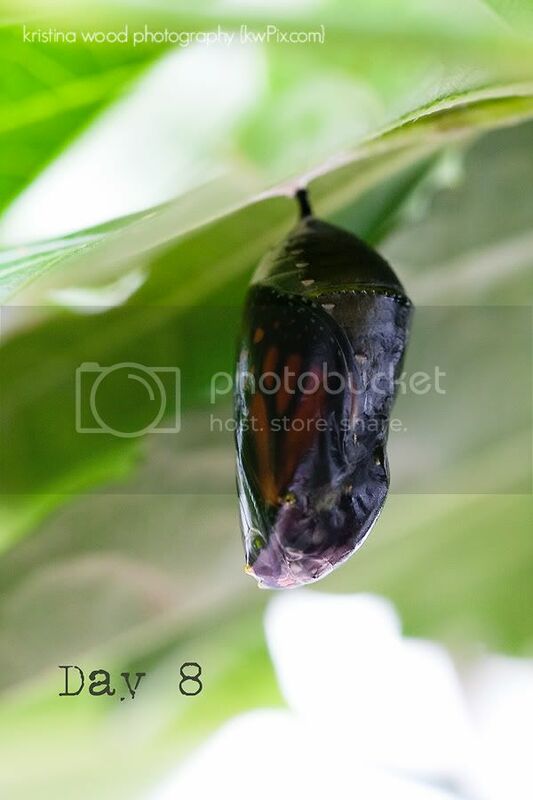 I checked faithfully on the chrysalis everyday. Day 2 was remarkable because of the beautiful gold ornate "bumps." The one around the top is known as "the golden zipper." Even on day 2, I could see the beginnings of the wing pattern starting to form. 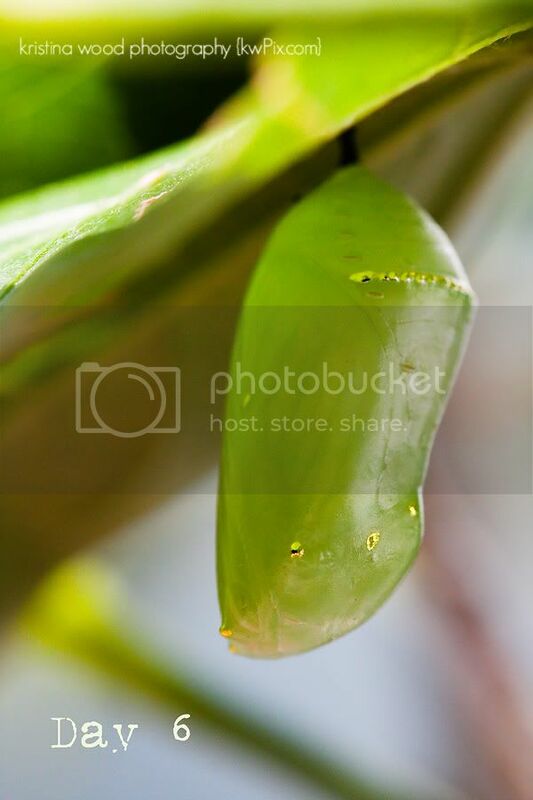 I couldn't get over how beautiful the chrysalis was. Day 3 looks pretty similar to Day 2. 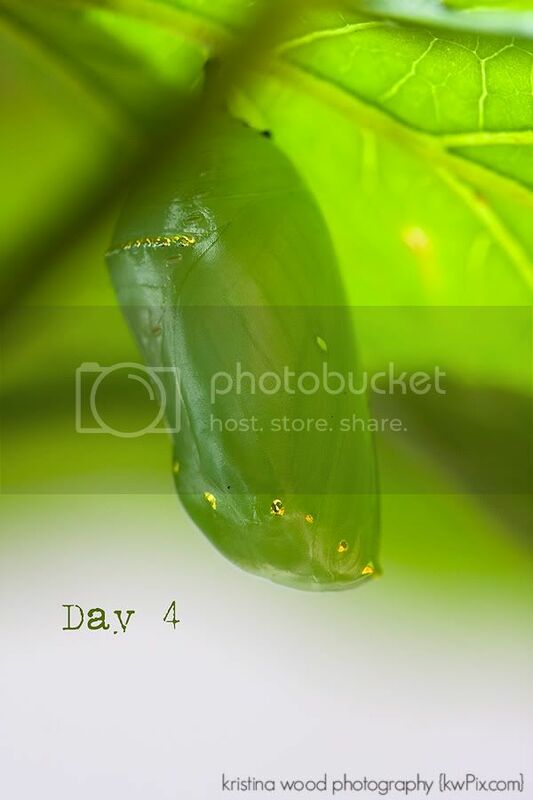 On day 4 the wing pattern appears to become more defined. 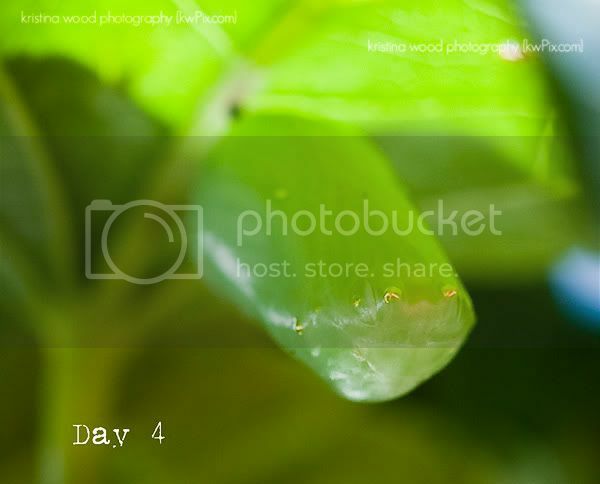 Day 5: no apparent change. I have to be honest. By day 6, I was getting tired of waiting--tired of not seeing any real changes. What the heck was going on inside there? And why couldn't I see any more apparent changes on the outside? 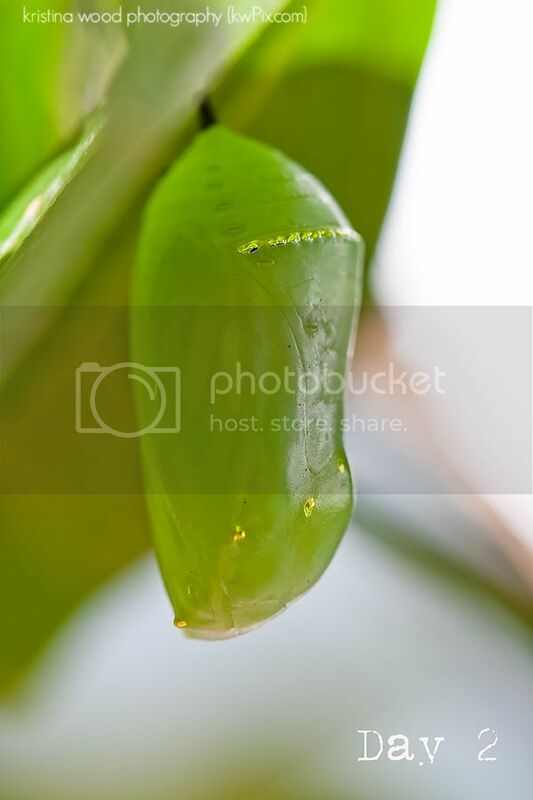 How many ways can a photographer think to photograph the same little green chrysalis? I was getting impatient. So much so, that I forgot to take a photo on Day 7. I was no longer so enthralled with the process. I knew something was going on inside the little green package, but I was recording the process more out of duty than true desire. 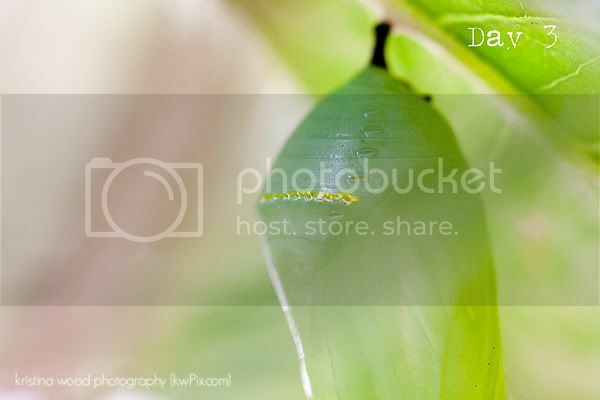 I had better things to do every morning at 10am than photograph a little green chrysalis. My dishes were calling my name. Continuing to photograph this little guy felt like an interruption in my day. But, on day 8, I discovered a huge change. What in the world? How did this little guy change so fast? What a surprise! 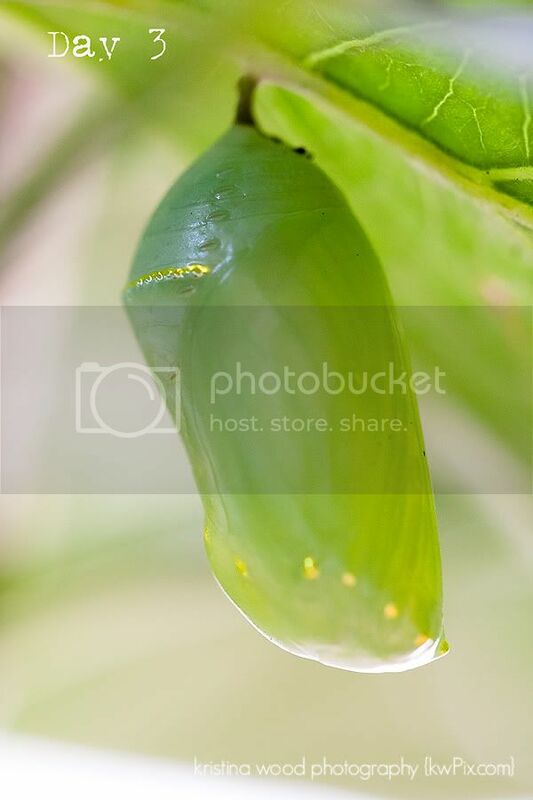 When I was least expecting it, all of a sudden, that little green chrysalis was no longer green, but clear. Translucent. And, wow, what a transformation! To think that I had grown impatient, and had almost gotten too busy to keep waiting. I could have completely missed it! 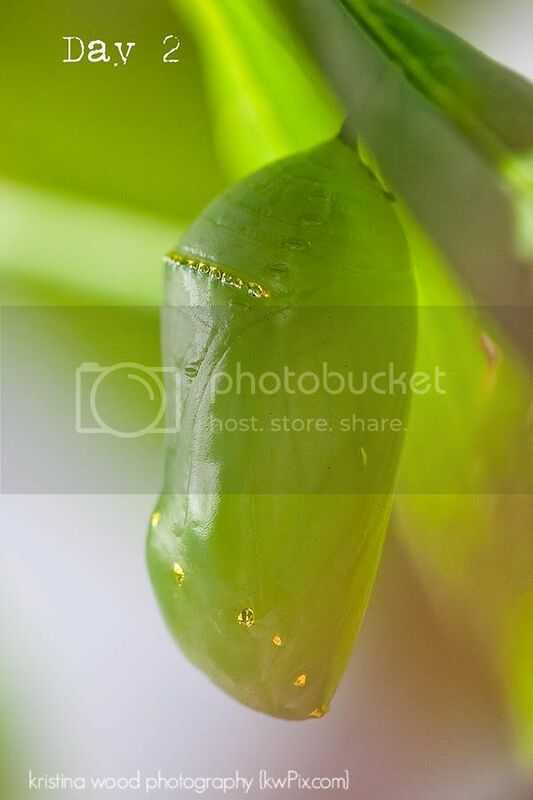 I promise to finish the story, and post butterfly pictures sooner than later! 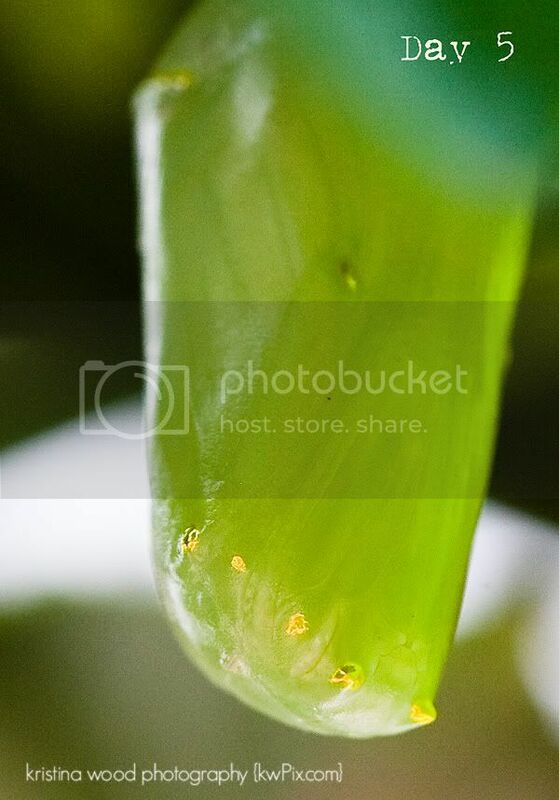 Again, all photos taken with my 100mm, f/2.8 macro lens. 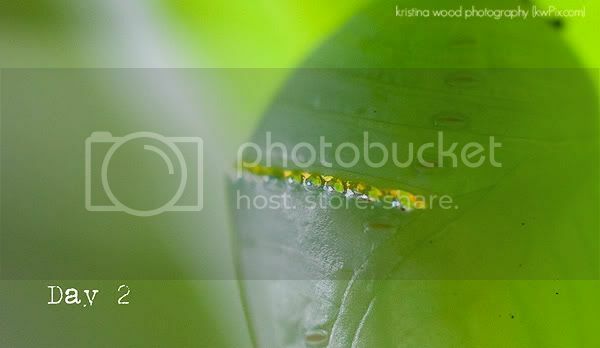 Some photos are cropped in to show more detail.